Follow these steps to perform a hard-reset of your Enplug device. Rebooting solves many internet connection issues. 1. 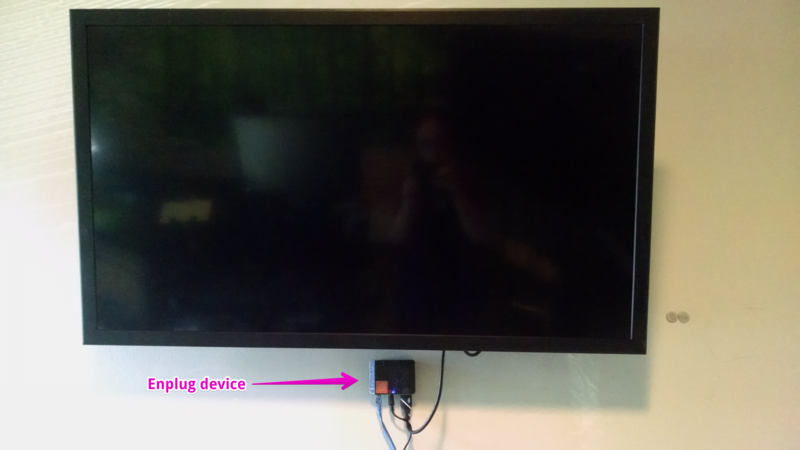 Locate the Enplug device connected to your display - it will be either behind or beneath the TV screen. 2. Unplug the device from power for at least 20 seconds. The device power cord is the circular one in the middle - see the attached photo. Alternately, if it's more convenient, you can unplug your device from the wall outlet or power strip. 3. 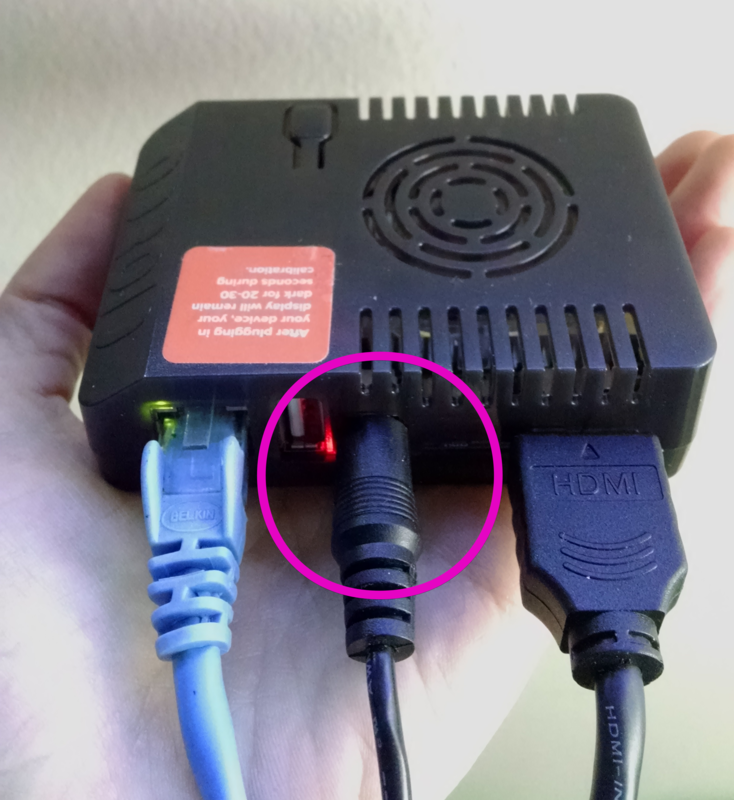 Reconnect the power cable. Confirm that both a solid red light and a flashing blue light are showing on your device. That's it! You have restarted your Enplug device. In certain cases, your display may reboot itself a few times for up to five minutes until it has completed updating its software.